Description: Written, art and cover by Erik Larsen. "World Tour," part 1. Savage Dragon's quest to find his wife leads him to Newport, home of the notorious Bomb Queen! All hell breaks lose in this explosive issue that unites these titular Image stars. 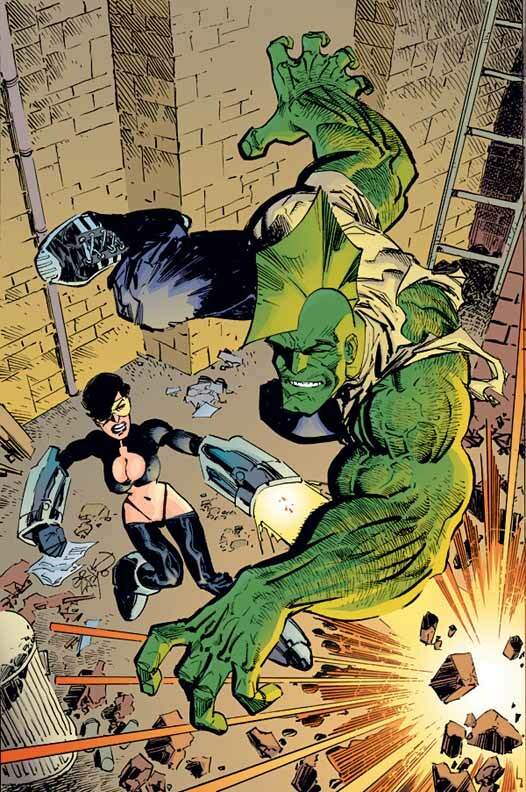 Savage Dragon's world tour begins here as the Dragon explores the Image Universe in search of his missing wife.